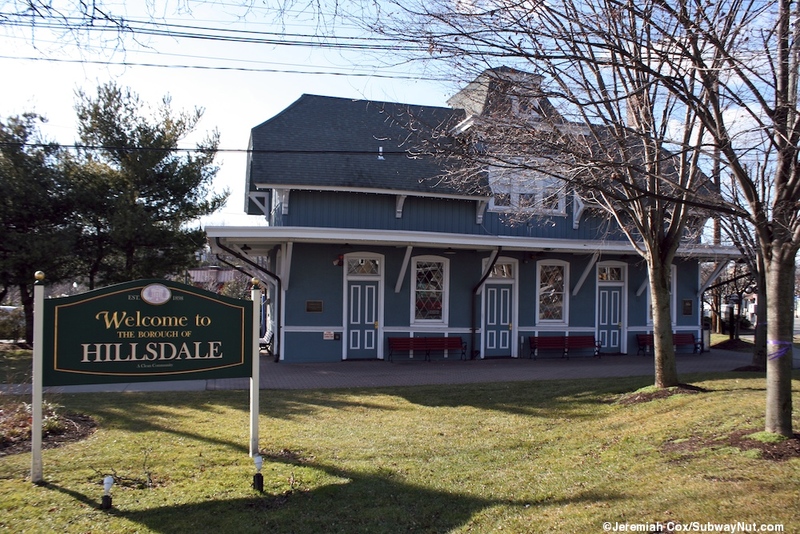 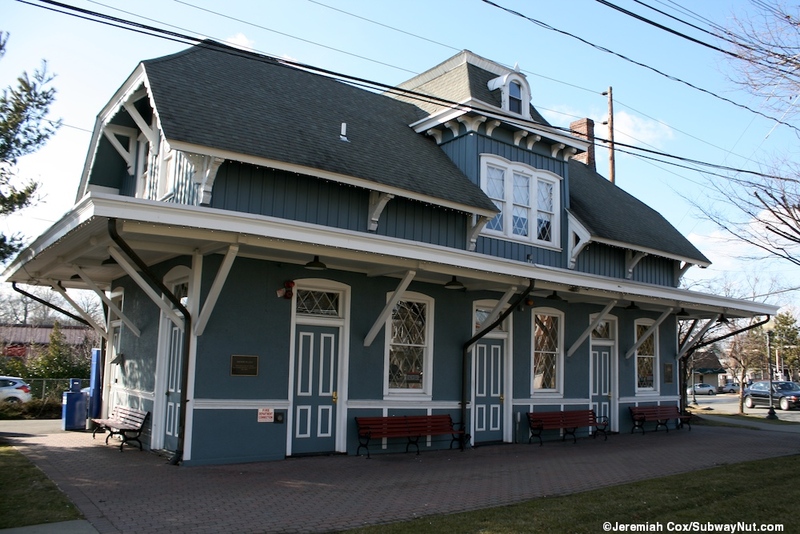 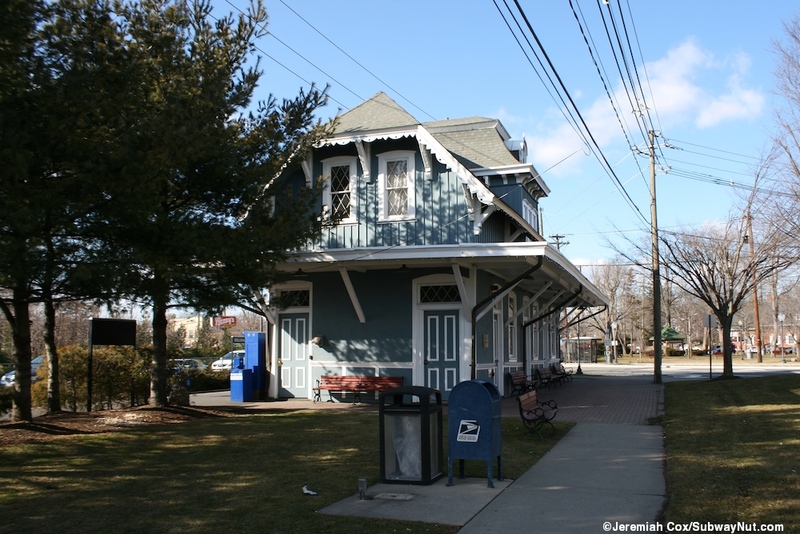 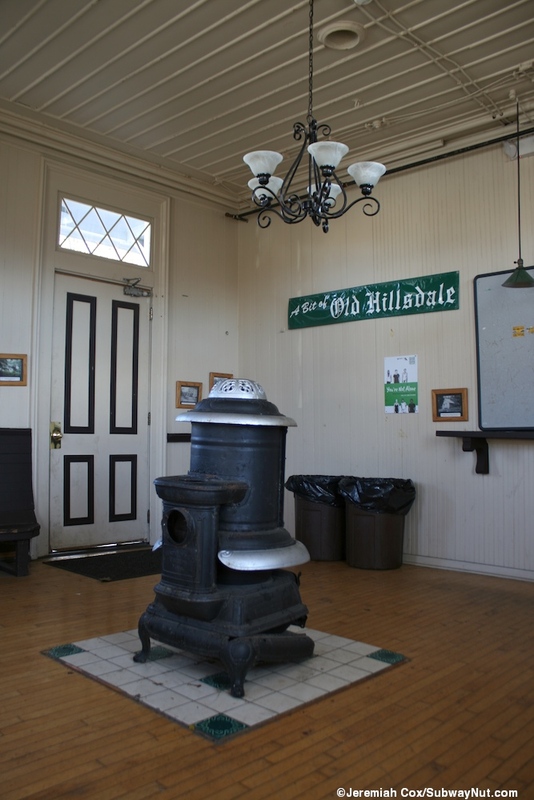 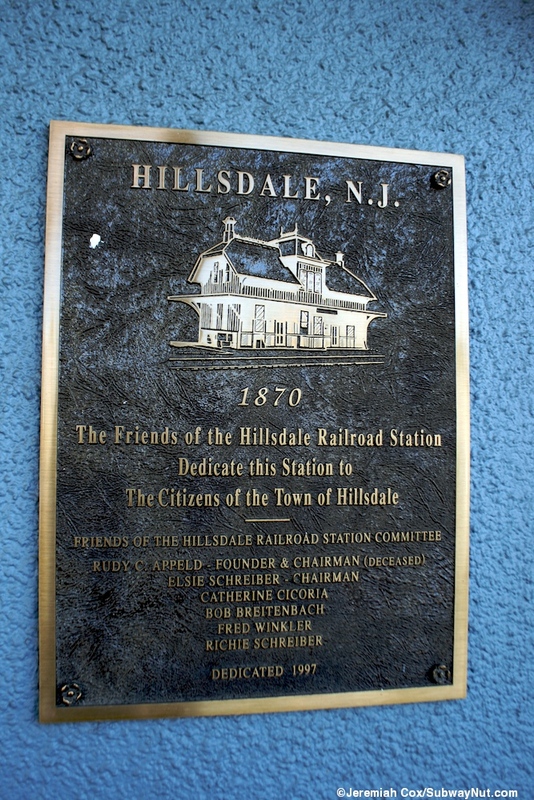 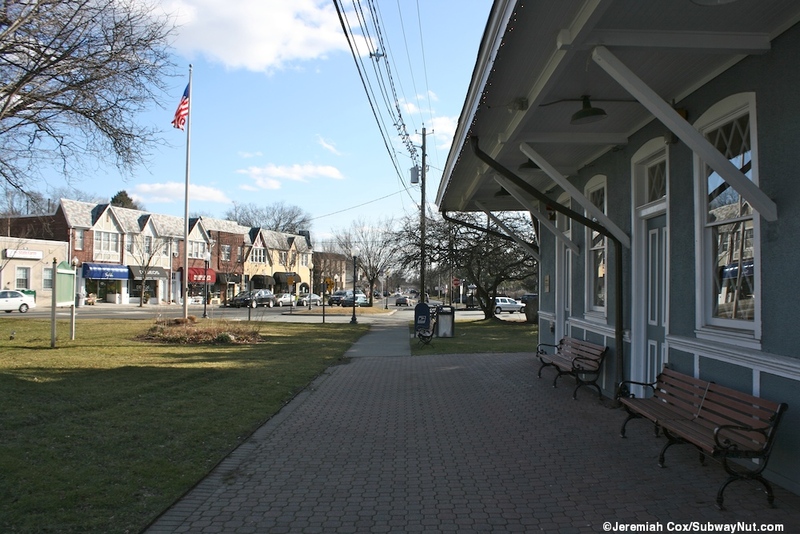 Hillsdale is another station on the grade-level single track Pascack Valley Line that feels relatively unaltered since it was built in 1870 and rededicated by the Friends of the Hillsdale Railroad Station to the Citizens of the Town of Hillsdale in 1997 and has a waiting area with hours posted from 7:00am to 5:00pm everyday of the week. 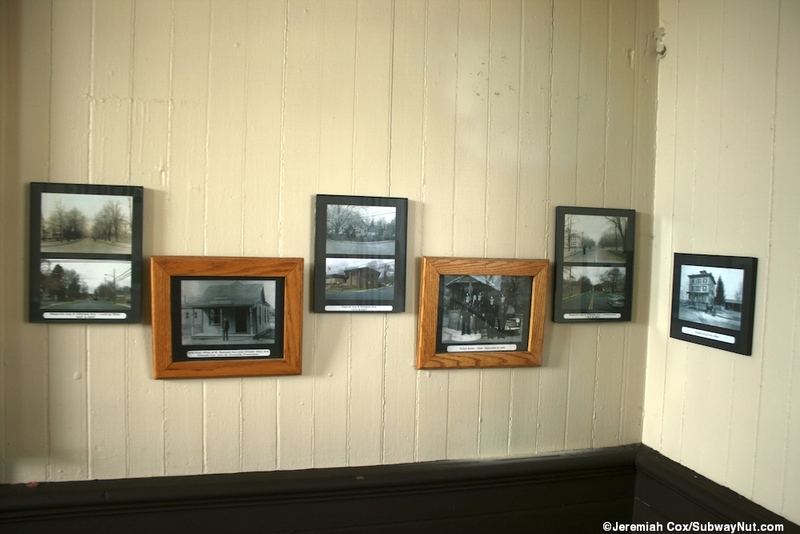 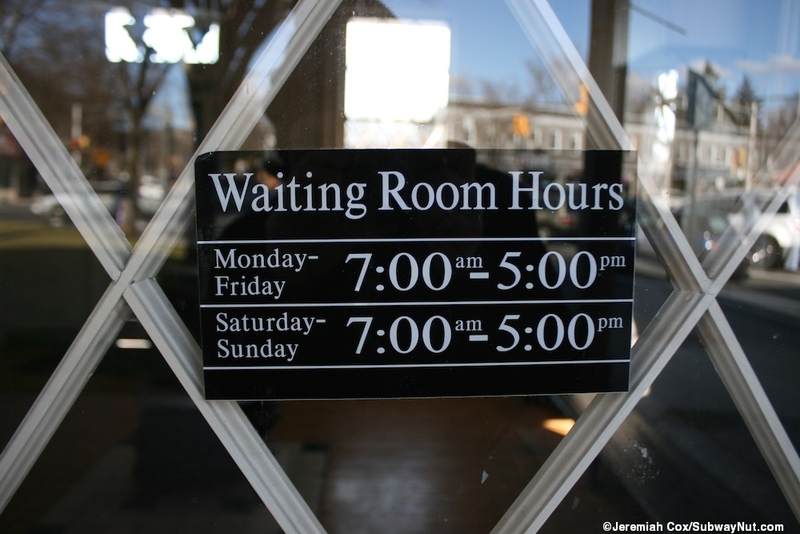 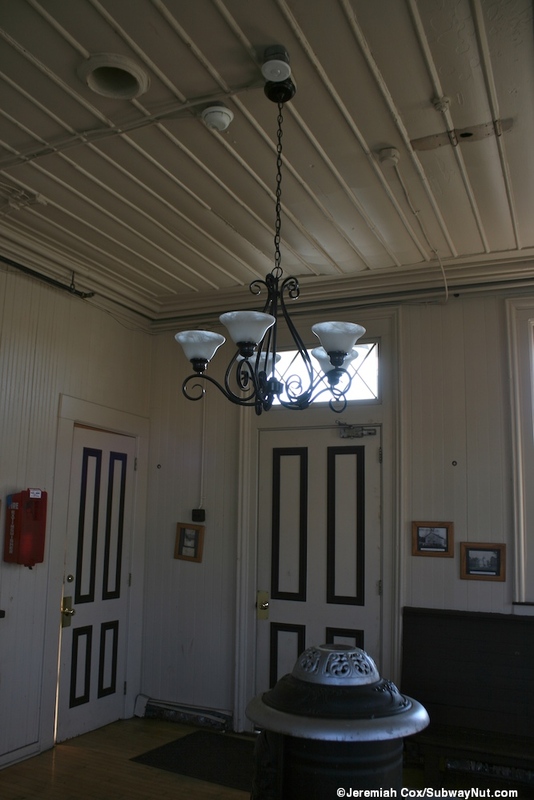 Inside the waiting area are historic pictures with wooden seating along the walls beneath the windows. 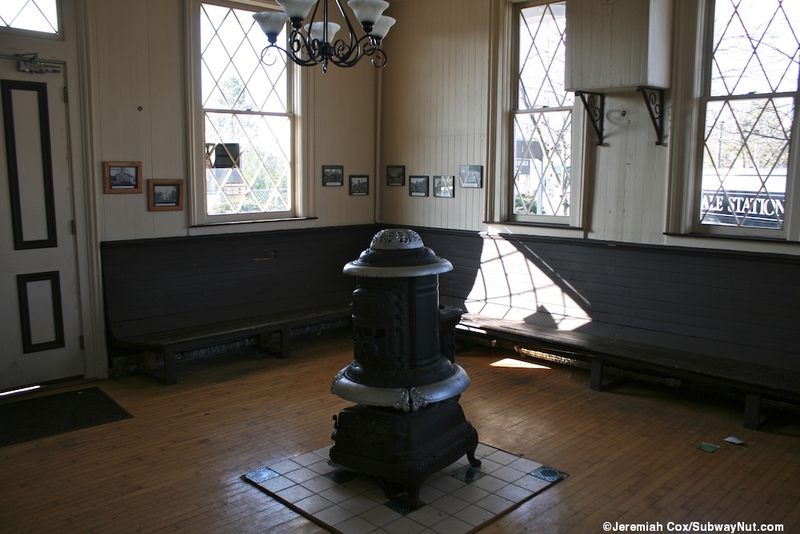 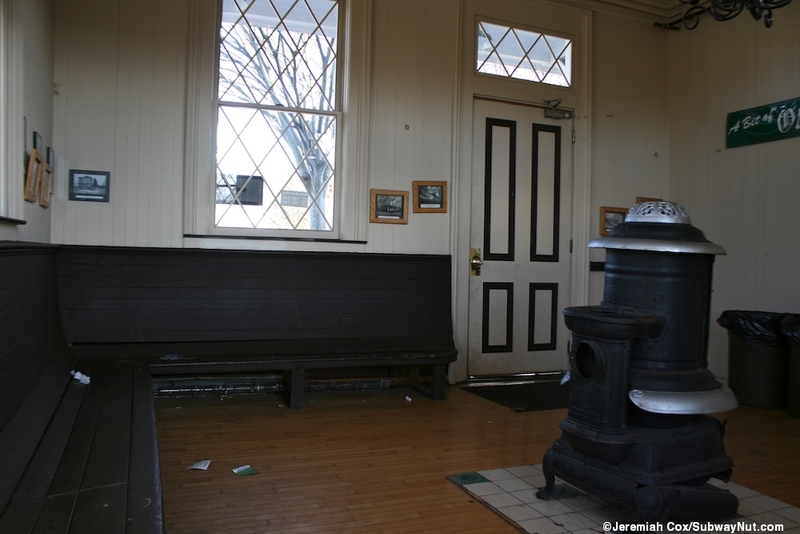 There is a broken potbelly stove in the middle of the station, the hole for the pipe up to the flue still exists, although the pipe to make the stove at all usable is long-gone. 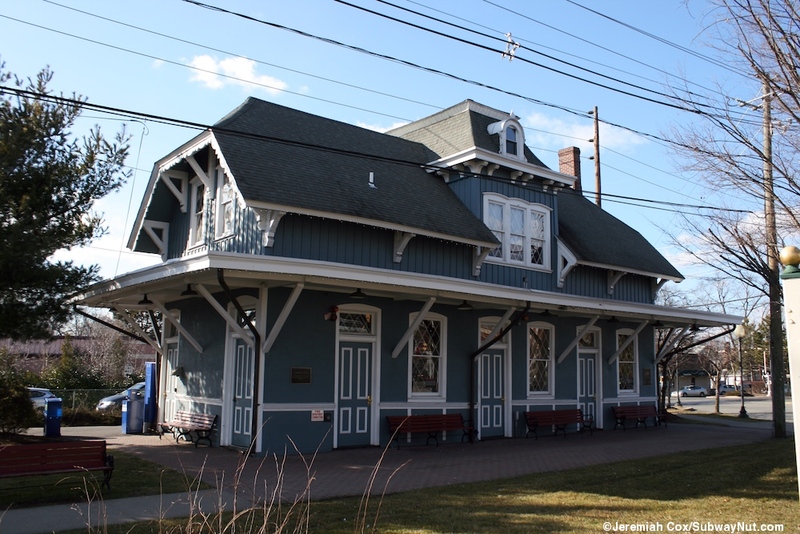 The two story victorian depot is painted baby-blue with white trim and a black singled gabled roof as well as eves which extend to the brick paving stones that surround the depot. 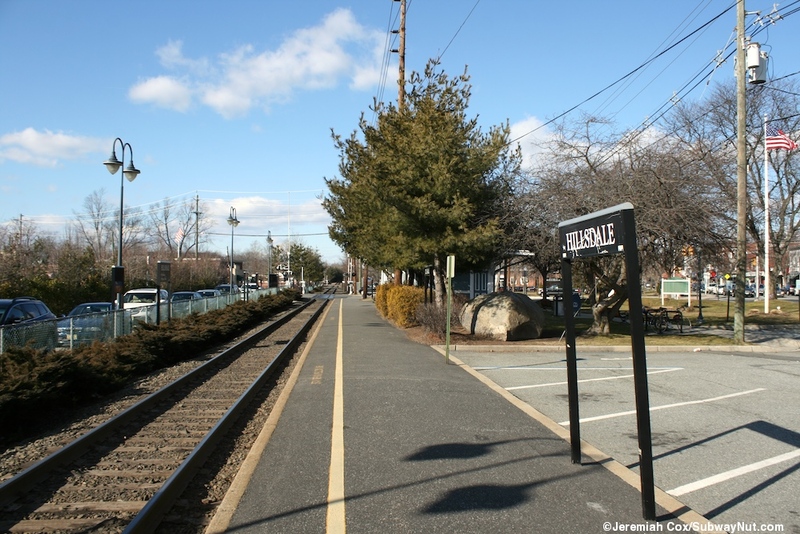 The station's lone TVM is beneath these eves directly along the platform. 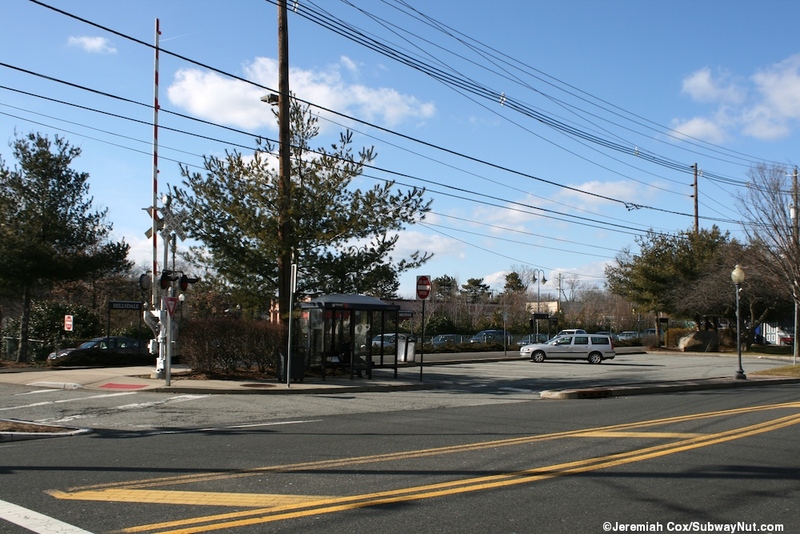 There is also a small yellow pay box for the few non-permit parking spaces at the station. 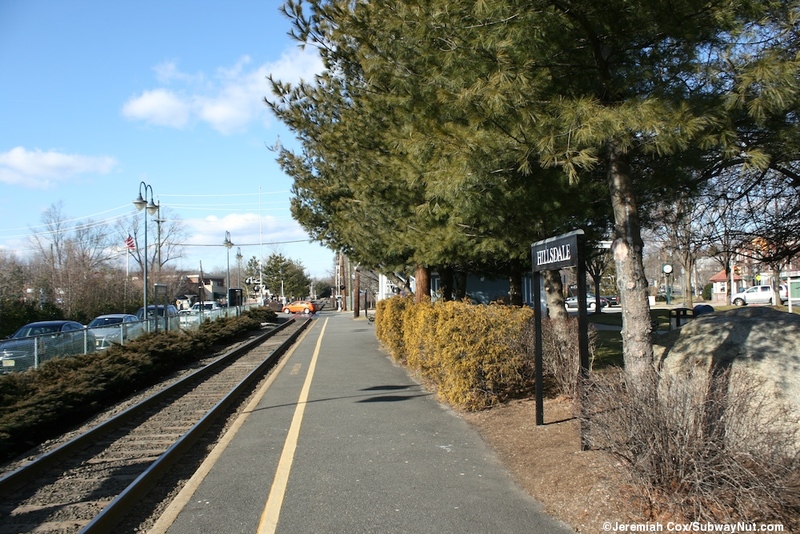 The depot leads directly out to the northern end of a simple low-level concrete platform on the east side of the single track, a yellow line is the only thing marking the platform's edge. 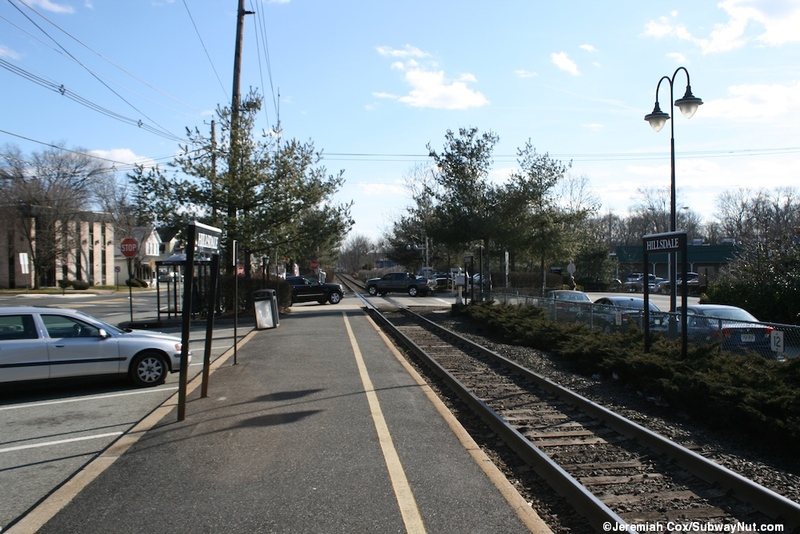 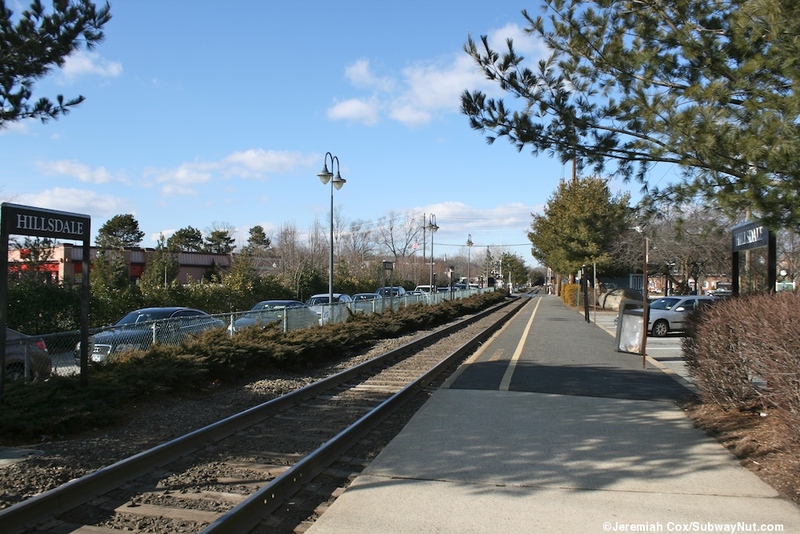 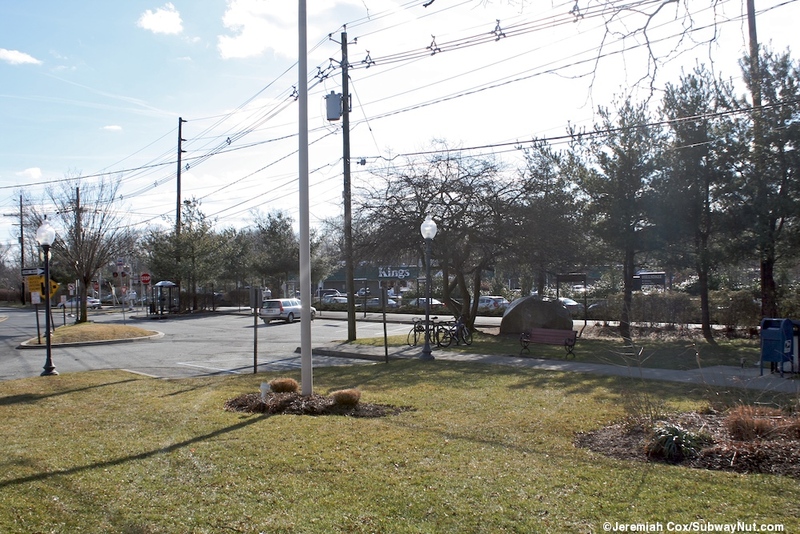 This platform runs between the grade crossings of Washington Avenue and Hillsdale Avenue, with trees mostly along it. 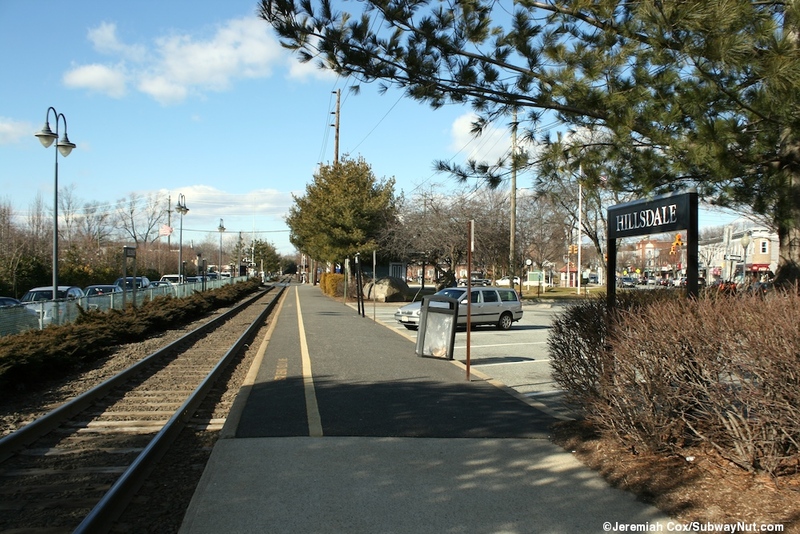 A small parking lot of 13 parallel parking spaces directly across from the platform with the only pay daily parking spaces. 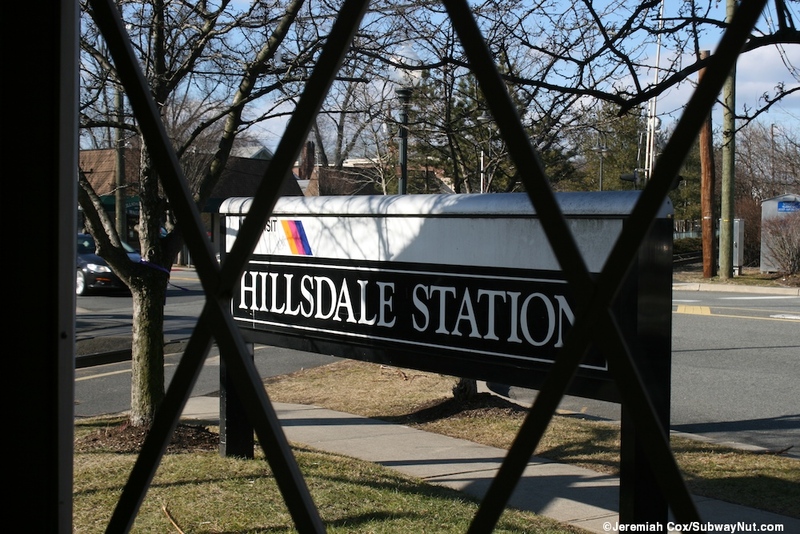 There are 2 other parking lots just north and south of the station with 87 permit only spaces, plus a much larger lot a bit farther west of the station with 170 permit only spaces, all controlled by the Hillsdale Borough.